It is the time of year where apples and pumpkins and cranberries dominate my thinking, my cooking, and my Pinterest feed. We are following along with that and enjoying some pumpkin learning. For the Poppins Book Nook theme for this month, To The Kitchen, we have been reading about pumpkins and how they are used. We then applied that by baking. As a teaser – it was yummy! Stewed Pumpkins – Last year, we cut up our Halloween pumpkins (that we had decorated, not carved) and stewed them. 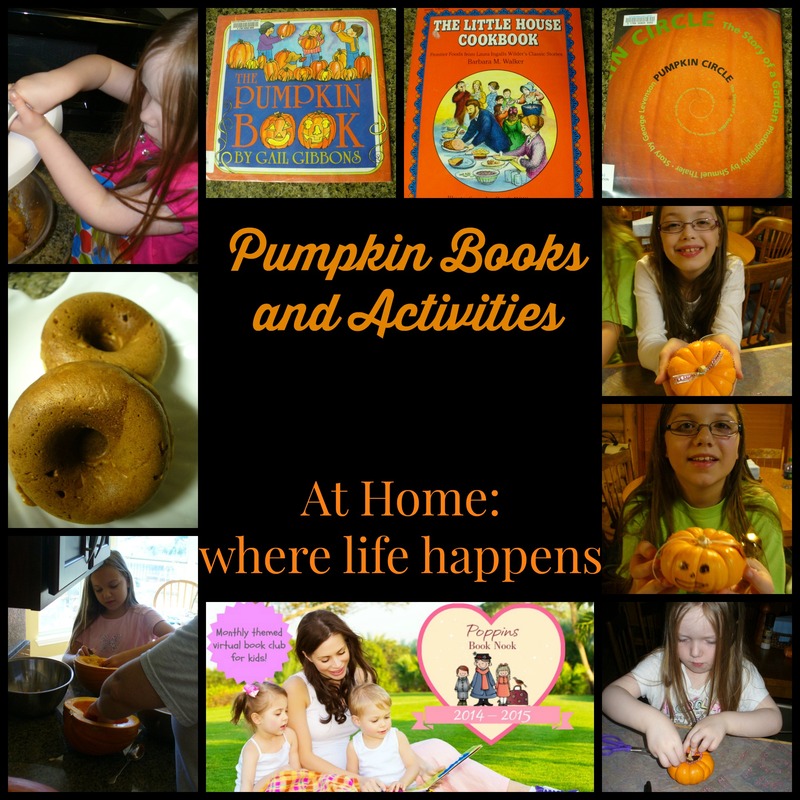 We tried the stewed pumpkin recipe from the Little House Cookbook. The girls were not big fans of stewed pumpkin but it was fun to eat something that Laura would have eaten. We then froze the rest so we would have pumpkin all year long without having to buy canned. When we pulled some out to thaw for our baking for this theme, they tried it again. Still no fans among them but they do like what we did with the pumpkin puree. 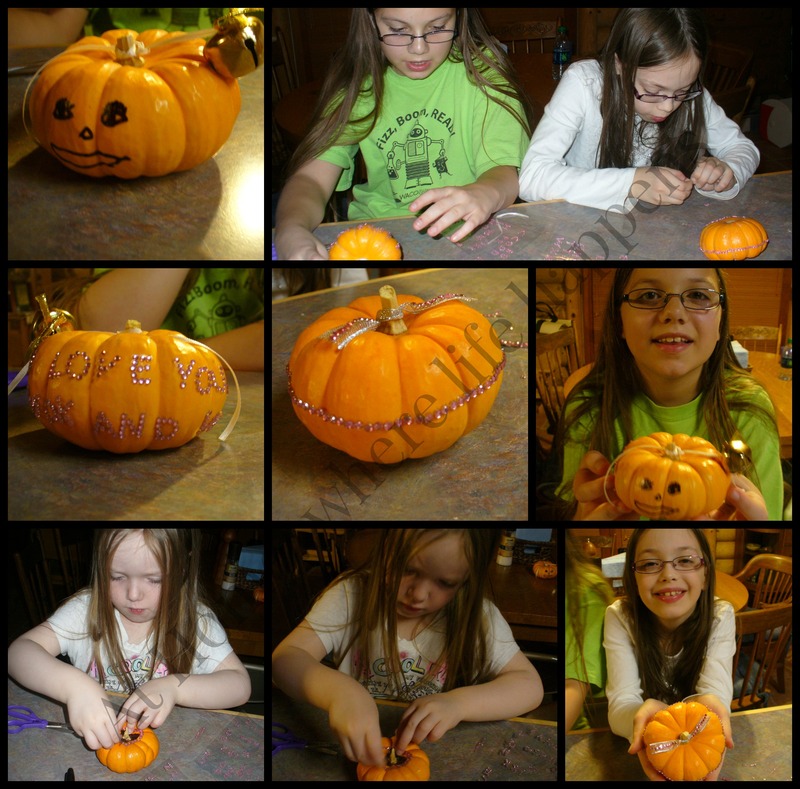 Decorating Pumpkins – Each giggly girl got a small little pumpkin. They each decorated their own little pumpkin however they wanted. They used markers, stickers, ribbons, and bells. Whatever they could find at Mok’s house. (Mok is my mom, so their grandma. 🙂 ) They came up with some cute decorated pumpkins. Two of them are gracing the pass through in our kitchen. The other was left at Mok and Papa’s house to make them smile. 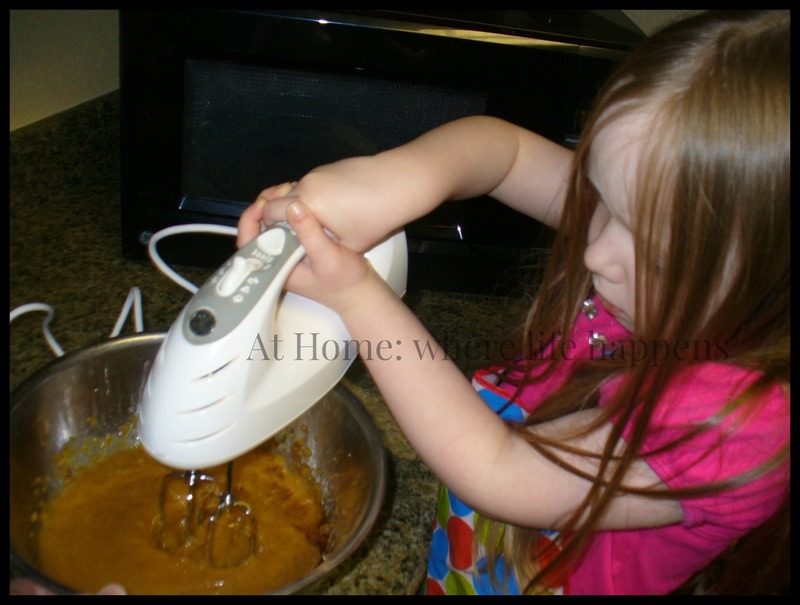 Baking Donuts – There is just something about using ingredients that you have preserved yourself. The girls had a hand in preserving the pumpkin last fall that we used today for our baking project. It just tastes better! J was the most excited about baking something with pumpkin so she got to choose what it would be and donuts were her choice. I am so glad it was what she chose! They were amazingly good! We got our recipe off of Pinterest, originally, and followed it to the blog Flourish, from King Arthur Flour. 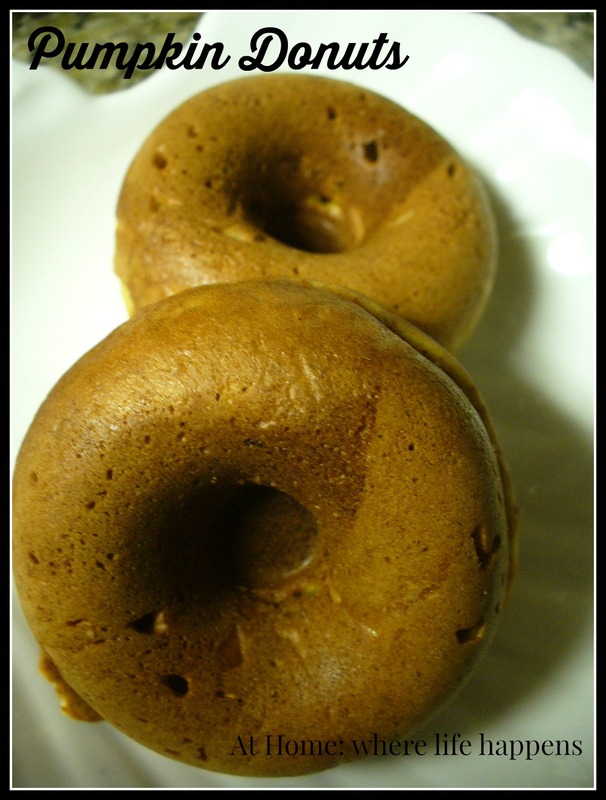 All of the giggly girls highly recommend this recipe, though the cinnamon sugar did not stick to our donuts. Maybe it was because we used our little donut maker to bake them instead of baking them in a donut pan in the oven. I don’t know but they really don’t need the cinnamon sugar. Drawing Pumpkins – We are going to be drawing pumpkins this week using chalk pastels. The girls love to draw with chalk pastels and their pictures always come out lovely. It is hard to not create a good piece of artwork so we’ll pull them out this week and make some cute pumpkins. Labeling Pumpkins – We used the downloadable packets from Mama’s Learning Corner that related to pumpkins and the life cycle of pumpkins. These are cute, age-appropriate (for kindergartener J) worksheets and mini-books on pumpkins. J worked on the booklets with the assistance of her big sisters. Sewing Pumpkins – We created some cute little fabric pumpkins. We put them all in a bowl on the kitchen table. They make me smile each time I see them. Just another reminder of the fun of fall. And, you guessed it, no pictures of these either. Unit style learning is loads of fun. We all learn something and it is always a fun hands-on time. The pumpkin learning, which culminated in baking a treat, was perfect for these cool (or cold, depending on where you are) days. At Home. 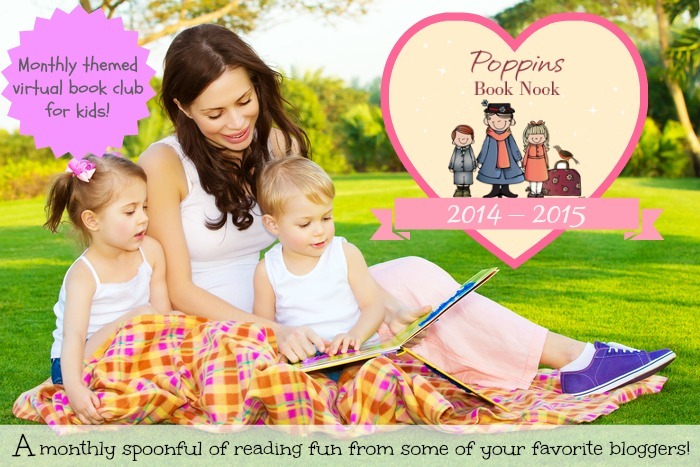 This post is part of the Poppins Book Nook virtual book club. This month’s theme was To The Kitchen. Visit the co-hosts to get more ideas for the theme. 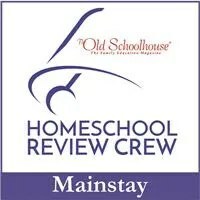 Visit the Poppins Book Nook on the web at Enchanted Homeschooling Mom. Those pumpkin doughnuts look delicious! Love all the ideas you came up with to go with the pumpkin theme! Thanks. The donuts were really good, even after they had been packaged up over night. Warm or room temperature – didn’t matter; a definite hit. Pumpkin donuts? Oh my! Those sound great!